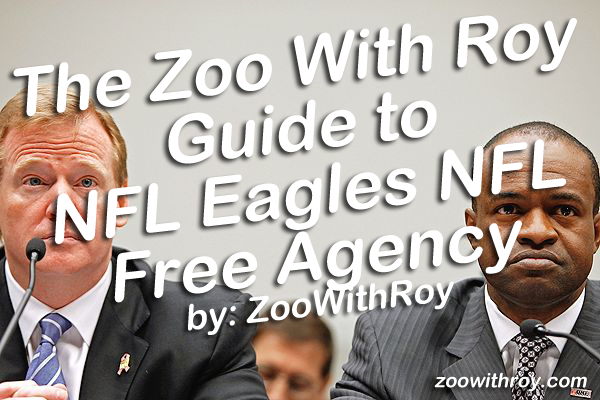 With an end to the NFL lockout seemingly- hopefully- approaching, zoowithroy.com football analyst Zoo With Roy decided to take a few moments to examine what he perceives to be the Eagles key team needs in the upcoming free agency period. Or something. Rest assured it's objective and hard hitting. The Eagles defense was stupid last year. 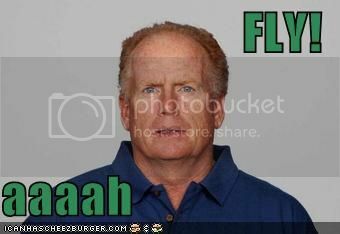 Sean McDermott was a complete donkey, and so they replaced him with their offensive line coach. But don't worry, he'll be helped by this raving lunatic. At the draft, realizing that they only actually had one NFL caliber corner on the roster, they selected a converted running back from the Mountain West or whatever conference (Sky 12?!?) is always on Versus. BIG HOLE. But can talent alone fill that hole? Can it? Shall it? Might it? I say no. We need something more than just coverage skills and a tackler's instincts. "But ZWR, isn't Brandon Graham going to miss time because he had microscope surgery and doesn't that mean we need defensive line help, too?!?!?!" Dude, I got this. BOOM. Swag + Stylez, I mean come on. Actually screw the rest of it just get Plax too and it's gravy, baaaaaaaaaaaaaaby.